Reply 1997 / Answer Me 1997 is one of the most raved dramas this 2012! It came as a surpirse because it was not produced by the top 3 TV stations in South Korea, but rather by a cable channel called TvN, but still it gained so much attention, ratings and popularity! 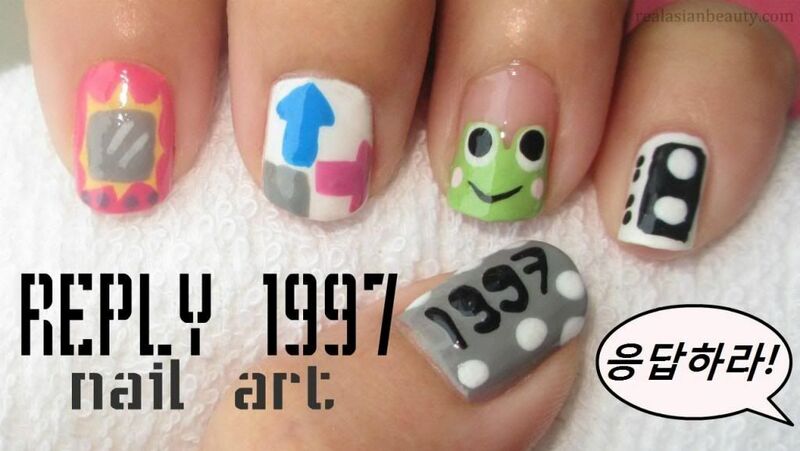 For the THUMB, I combined the 1997 in this poster and the white balloons H.O.T. fans always hold. Tamagochi was really popular in the 1990's. I used that for my INDEX finger. 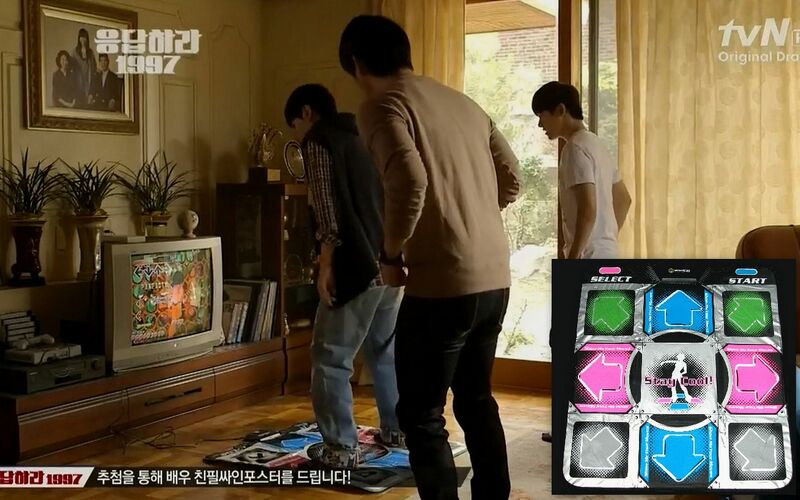 For the MIDDLE finger, I used Dance Dance Revolution's dance pad as the concept. For the RING finger, I used a frog. 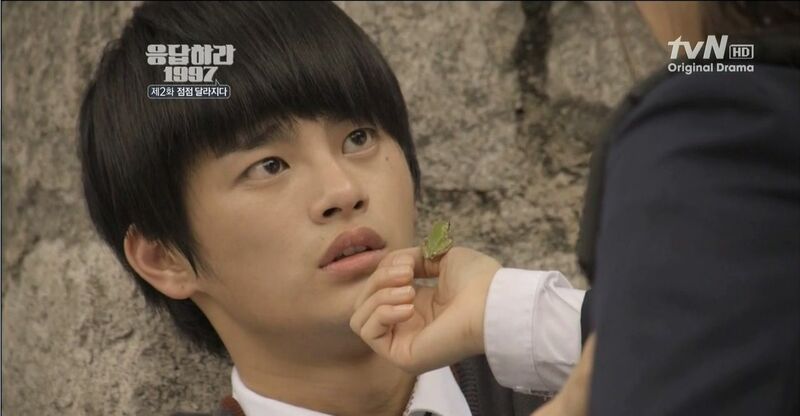 Yoon Yoon Jae is afraid of frogs so I thought it would be a good representation of the 1997 drama. Casettes tapes were our CD's and MP3's in the 90's. I painted a cassette tape on my PINKY. I really liked this drama, so many people do. It recently got 1,000,000 video downloads, and that doesn't include home viewings, online recaps, online video streaming and those underground downloading sites. That only shows how popular this drama is. 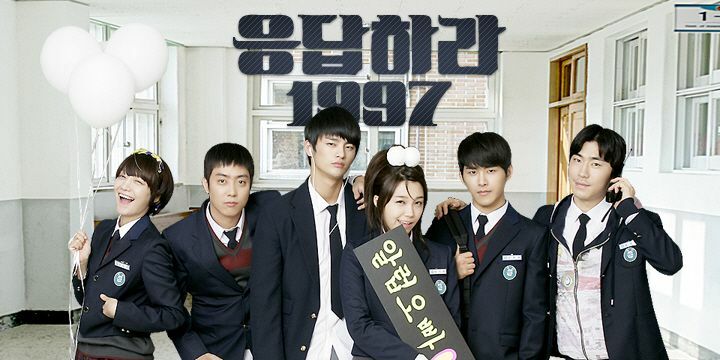 Reply 1997 now officially makes it into my list of "Top Korean dramas". Story, dialogues and realistic-story plot wise. I hope you like this drama and this nail art inspired that I came up with. 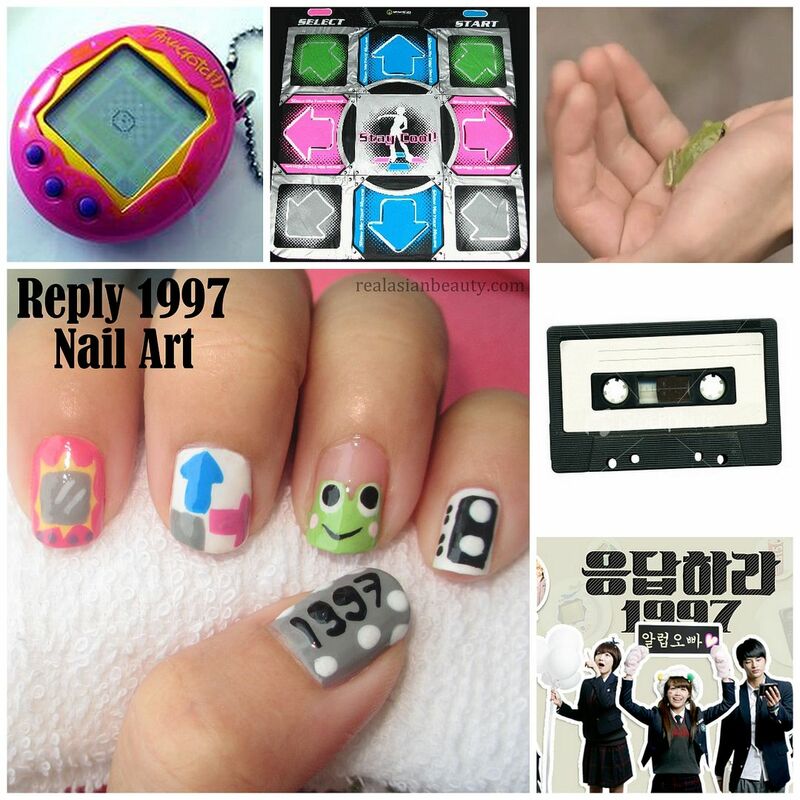 I also did this Reply 1997 collage for you! You can save it on your phone and use for sharing on other social media sites! :) Enjoy!